Just as Microsoft announced the release of their version of Office for iPad this week, they also decided to give their customers on the Android and iPhone platforms another reason to smile by making the Office mobile for Android and iPhone free for everyone. anymore as Android and iPhone now joins the league. Office mobile on this devices allows you to view and edit your office documents on the go. Before this new development, third party apps like kingston Office have worked for me in creating and editing documents in microsoft word formats for free. Which App were you using before now. Use the comment box to tell us. 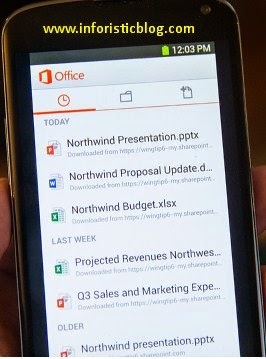 The Office mobile for Android and iPhone is available for free in Google Play and App store respectively. You can download it Now.